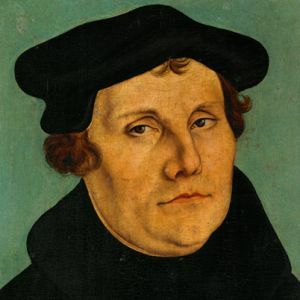 This post is part of our series on the Historical Luther. 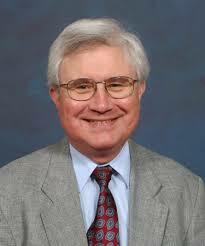 Today’s post examines the perspective of Robert Kolb. Having surveyed the general contours of Oberman and Hendrix the past two days, we now turn to scholar Robert Kolb and his assessment of the person and theology of Martin Luther. Kolb begins his work, Martin Luther: Confessor of the Faith, with a statement introducing the limited scope of his endeavor, writing that “Luther’s thought, as complex as his perception of human life, as nuanced as he believed the Biblical message to be, defies adequate summary.” Kolb later purposes his work as a presentation that, “seeks to help readers begin to engage Luther’s way of thinking, the Wittenberg way of practicing theology and confessing the Christian faith in teaching and living.” Throughout his work, Kolb presents his readers with a view of Luther that emphasizes his formative influences, as well as his Theology of the Cross and its implications on the relationship between God and man. We will give further treatment to Luther’s formative educational experiences and influences below; here we will consider Kolb’s emphasis on Luther’s theology of the cross and his definition of the God-man relationship. In order to properly understand Luther’s theology, Kolb argues that one must first understand the factors that gave rise to his theology. The issue of perhaps the greatest influence for Kolb’s view lies with understanding Luther in his historically Ockhamist understanding of God and the World. Kolb argues that for Luther, God exists as, “the Creator, who had come to rescue his human creatures from the mystery of evil and restore them to their full enjoyment in the gift of humanity.” He emphasizes the importance for Luther’s theology of human language, the power of God, and His fellowship with humanity—factors that directly influence Luther’s Theology of the Cross. Of further importance are the roles of Biblical interpretation and the paradigm of Law-Gospel. For Kolb, the Wittenberg methodology of Biblical interpretation, namely Luther’s view of the Biblical text as both literal and personal, played an important role in his interpretation of Romans 1:17 and his development of the doctrine of justification by faith. Concerning the Law-Gospel paradigm, while Luther did not invent the distinction, Kolb finds it important that he was the first to use such a dynamic with a hermeneutical function. Fundamental to Kolb’s understanding of Luther’s view of God and world was his Theology of the Cross: “True theology and recognition of God are crucified in Christ.” This Biblical theology of Christ, in conjunction with Luther’s understanding of the role of the Biblical text, and his distinctive hermeneutical guidelines of Law and Gospel, led to the heart of Luther’s theology. For Kolb, “Luther’s view of God’s Word leads inevitably to his definition of who God is and what it means to be human.” This understanding of God’s relationship to man, His willingness to save his human creations, for Kolb lies at the heart of Luther’s theology. In dealing with other concerns surrounding Luther and the proper view of his theology, Kolb walks a balanced line of scholarship, especially when compared with Oberman and Hendrix, for he indicates the importance of the pastoral and personal concerns of Luther’s theology, as well as Luther’s understanding of the role of Satan. From a historiographical perspective, Kolb, in a manner similar to Hendrix, tends to categorize Luther’s thought and theology in more of a topical structure than as a chronological progression. However, his categorization does capture a clear picture of Wittenberg theology in a context that enables the reader to understand the importance of Luther’s influences and the Theology of the Cross. For Kolb, Luther’s emphasis on the saving work of Christ, which enabled both God and humanity to become more fully themselves, to allow for a personal relationship of mutual trust and growth, remains the key principle in understanding Luther’s theology. This fundamentally Ockhamist perspective of the relationship between God and Man remains for Kolb the key principle of Luther’s theology, a reflection of the importance of God’s relationship to man and His willingness to save his human creations. Does Kolb succeed in meeting the expectations of his principle ideas? While we have not yet fully considered the developmental aspect of Luther that Kolb believes to be of vital importance in understanding his theology, Kolb’s presentation of Luther does indeed “help readers begin to engage Luther’s way of thinking.” Kolb stresses the importance of Luther’s dynamic understanding of the relationship between God and Man through the Word and the Theology of the Cross. One could say that given Kolb’s presentation thus far, he has built upon the dynamic that Hendrix felt so crucial to Luther’s theology by providing the God-man relationship with a theological center. Robert Kolb, Martin Luther: Confessor of the Faith, Oxford University Press, Oxford, 2009, 10. Ibid., 43-50; As opposed to a more ‘traditional’ allegorical interpretation as by Origen. Ibid., 55; Kolb quoting Martin Luther, Luther’s Works, (St. Louis and Philadelphia, 1958-86), 31:53.